Step into the Star Wars: Episode I with this Anakin Skywalker necklace! The licensed accessory measures 16" long and features small, plastic beads with 2 1/2" long pieces that hang down from it. 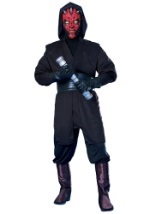 Great with any of our Anakin costumes!